We lifted my eight-year old daughter, Talia and held her up over the retaining wall in the back yard where she glimpsed the world from a few feet higher than her usual vantage point, observing a creamsicle-colored full moon and the twinkling of many lights of a nearby development. In retelling her experience, she remarked, “Wow, Mom! I gasped! I didn’t know it could look like that. I just wanted to stay there for an hour—! I felt her spirit capture the joy of “things as they really are” from a loftier perspective. Perspective gives us patience, purpose, and a place for our emotions—even transforming them. Let’s increase ours together–look up, step back a few feet. What might life events look like from God’s view? Take a peek with me into the divine geometry of nature. All things, say Nephi and Alma, typify (that is, teach or denote) something about God. Now here is a stunning reality. This image is called a fractal; it’s part of what is known as the Mandelbrot series—Mandelbrot is the name of the scientist who discovered it. It’s a design that has been generated on the computer through an equation. We won’t get into mathematical technicalities here, but for now, observe what happens as we magnify just the small rectangular portion marked on the image. When any section of this form is magnified, we see the same pattern in miniature with slight variations. Zoom again, another self-similar design decorated by slightly different borders. Guess what! We could zoom in a billion times to magnify the detail and the same mini-replica would emerge with these subtle intricate changes. A design contained within the design. You may have seen something similar in a leaf. Within a leaf is the whole design of the tree and within each part of the leaf, a self-similar design. Each part is called a fractal. And scientists discovered that this pattern of extended intricate borders and self-similar design could go on to infinity. Look at that design. Isn’t it marvelous! One scientist referred to it as “God’s thumbprint” on the universe! Does that help you step back and remember “the marvelous and matchless power of our God,” as Alma, a prophet of ancient America, calls it (Mosiah 4:6)? I would like to suggest that when we are afraid or feel helpless to change our current situation or are in despair because life’s dreams seem to elude us or the options we envision for our life are not presenting themselves, that it may be because we are looking through a small bay window of the present, or understating what God can do beyond what has happened in our lives to ultimately bring us happiness. He can design out of the raw materials of our lives something grander than we can see–whether in our moments of joy or in the prolonged tunnel of trial or present pixle of circumstance. I testify that God is in charge and God has the bigger picture. His plan of happiness for all His children is in full sway and effect. The atonement is complete. The Savior will return to rule and reign. Our lives make sense in spite of appearances in an eternal perspective. God’s window is much larger than ours—to Him all things are present and the earth and our lives are all present before him. In the words of an ancient prophet named Nephi, “For he knoweth all things and there is not anything save He knows it” 2 Nephi 9:20. And, again, in revealed scripture known as the Doctrine and Covenants, the Lord declares: “Ye cannot behold with your natural eyes, for the present time, the design of your God concerning those things which shall come hereafter” (D&C 58:3). Who we will become is in His hands will occur over time as we live a whole panorama of experiences that He knows will shape us as he has done so exquisitely in all of nature. “It doth not yet appear what [you] shall be but we know that when Christ shall appear [you] shall be like him” (1 John 3:2). Back to our image. This Mandelbort series shell-shocked quite a few scientists. They previously thought we could control and predict our lives and environment as the hands of a clock. Sort of like Adda. Remember Adda in “A Bug’s Life,” frenetically trying to be in control of her destiny but never quite succeeding? Do we often likewise assume that our lives should work like clockwork, that if we watch every minute and eat meals on wheels, we can control all the tiny little pieces of our lives, all the time and all by ourselves— then worry when they don’t fit as we imagined they would? The idea that life is a do-it-yourself kit is older than Newton; the adversary has been circulating that rumor for a long time. But if we are in absolute control of our lives, God is not. If our lives reflect only our will, they can’t be a reflection of His. While we want to use our agency to make wise choices we don’t want to overtake the reigns from God. So we need to hand the remote controls over to Him while exercising faith and agency in Him. I remember when I realized why the phrase “faith in Christ” was so important. It dawned on me that if I didn’t trust Him, I would rely on and trust myself. Relying on myself to figure out how my life should go won’t cut it. God is much better at my salvation than I am. How do we know if we’ve snatched the design pen from Heavenly Father and the Savior, forgotten the power of the atonement, which is the organizing force for this grand design (through which He can shape, edit, delete, modify., compensate for less beautiful temporary patterns)? One good indicator is worry. It comes when we fall in the booby trap of over-self-management. Worry is to assume responsibility that the Lord doesn’t intend us to have. Worry holds hands with fear, unrest, despair, helplessness, resistance, anger—all of which cloud our vision and God’s hand in our lives. It is impossible to have worry or fear and faith in Christ at the same time. They are opposites; they smear and smudge our spiritual glasses. So let’s wipe off our lenses. How do we trust more? Certainly we need a wide-angle lens and a clear image of God. One of the perks of age is that while our natural vision declines, our spiritual vision actually becomes clearer—hopefully. In the words of Joseph Smith, an instrument of God in bringing the gospel back to the earth in its pure form, “the nearer man approaches perfection, the clearer are his views and the greater his enjoyments, till has overcome the evils of his life and lost every desire for sin.” (Teachings of the Prophet Joseph Smith, p. 51). To do so we need to remember God’s perfect goodness. As my then five-year old daughter, Talia, exclaimed: God never makes a teeny teeny, teeny, teeny, weeny, weeny, teeny, weeny mistake,” then closing her fingers together to form a circle she added, “ZERO!” Oh, to retain the childlike faith and vision of our little ones. Notice the Mandelbrot design once more—the center remains fixed though external borders change. Interestingly enough, chaos theorists found that most often growth occurs far from points when everything is stable and equalized. It tends to occur, rather, away from our comfort zone, even on the edge of chaos. After a period of dis-equilibrium or change, a higher order, design, complexity, perfection, if you will, emerges. Yet often we resist anything that smacks of breaking the routine. Perhaps we are unknowingly in some cases resisting the growth we crave. I think that as we stay centered in Christ —as we put our lives in His hands after all we can do—He will change us, extend and enlarge our hearts and borders, as individuals, families, church, and human family and bring us back to His presence. How do we do that? I’m going to suggest a number of ways. Prior to my conversion to the Church years ago—after serendipitously discovering a brochure about the Church of Jesus Christ of Latter-day Saints on a rack in a Baptist Church—God was blurry to me. Up to that point, I knew no one at the helm of my life. I thought independence and virtue spiritually synonymous. It’s not that my life was that unusual—I worked, played, served, socialized and felt in many ways fulfilled but there was this lurking feeling behind it all. I was afraid to let go—of something I couldn’t then even define. I recall a turning point. It came as I realized that I’d been suffering from spiritual claustrophobia. I opened myself up to God in a larger way and reaped the blessings of a fuller life. Since my conversion, I’ve continued to be tutored in the process of turning my life over to the Savior—-and have felt His thumbprint on my universe and the bigger one, and would that everyone would do the same. Living in tandem with God’s will is the only way to joy and peace. There is no other way. Those of you who have turned your agency over can use this to help others, or to continue to grow in the process. Even if you can no more than desire to believe, let this desire work in you. Alma 32:27 I testify that the Savior will accept our offering and tutor us in the process of yielding to Him. I spoke about one turning point in my young spiritual life. I recall, as well, a second.—an even more significant one. I recall being pierced by the words of Elder Packer as I read them in a Relief Society manual as a new member. He spoke of the time he turned his life over to the Spirit completely and determined from that moment on to do as the Lord led and asked. I wanted to be able to make that commitment. I wrote that note on a napkin in my mind and tucked it away for a season. I recall the moment I retrieved it, knelt in prayer and made that commitment. From then on, I made a conscious effort to do what the Lord asked me to do, to say “thy will be done” in personally perplexing situations. Though imperfect in my attempts, they were sufficient for me to taste the joy of letting God show me the way. Through it I learned that God gives what brings the most happiness, the most fulfillment, the most joy and what I think I want is always, without fail, a mere mortal substitute. Permit me to share a very simple, early experiment in loosening the reigns of my will—to encourage you. Years ago, still single, I considered purchasing a small home so that I could be close enough to attend school while still having my own place to study and socialize. It was clean and contemporary and beat the darkened basement apartments I had previewed. Yet, I had this creeping feeling that I shouldn’t purchase it. 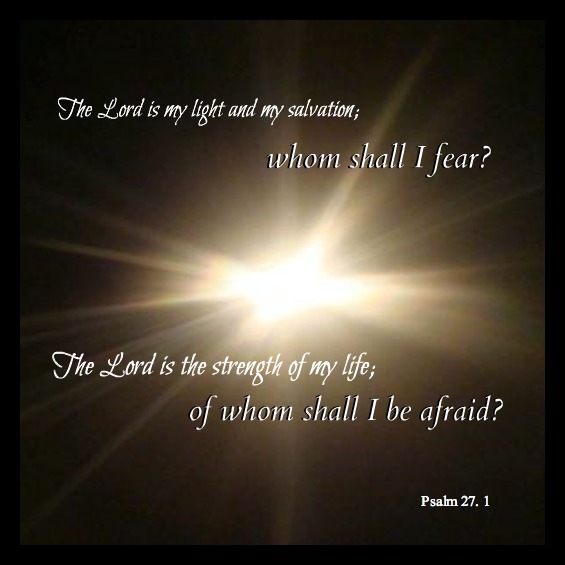 In my weak-kneed way, I acknowledged my desires to Heavenly Father and asked for His will. That night I had a dream. The small place appeared before me in full-color, close view; it collapsed before my spiritual eyes like a cardboard box. After my dream, I no longer desired to purchase it. Soon after that, an opportunity presented itself that was ideal—live with Bruce and Marie Hafen. Marie and I had worked together briefly on the Church study guide for Relief Society, and I had so enjoyed her depth and warmth. 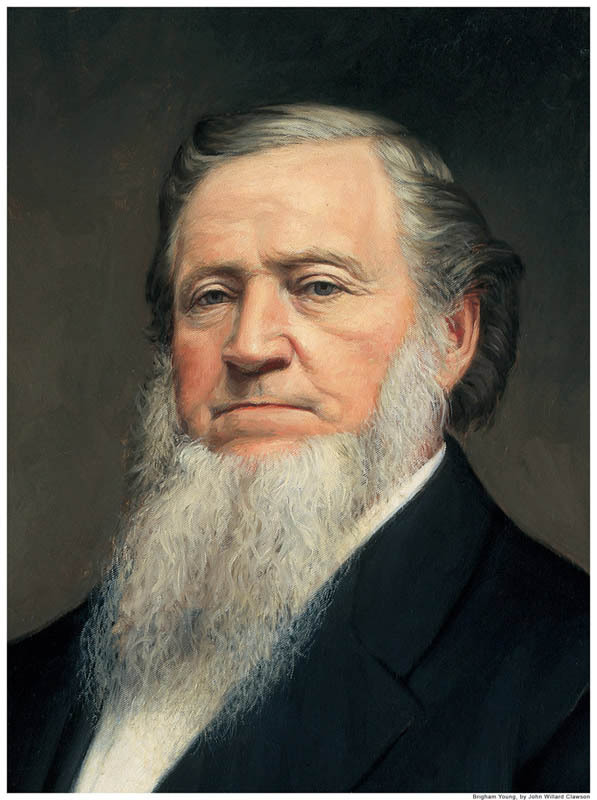 Bruce was serving as Provost of BYU at the time. I had an impression to call Marie. As it turned out, they invited me to live in their home in Provo which I did for four years. It was a privilege and a blessing. That experience and relationship has been the harbinger to many spiritual and educational developments of my life. And I learned, as we will over and over and over again, if we will try Him at His word, that our will is cardboard and His will is cameo. Perhaps it will help to hear of a similar experiment shared by a father, and leader in politics and business, whom we’ll call James. James was serving, at the time of this incident, as Aide to the White House. He was advised of a critical meeting at the Capitol by the White House Chief of Staff and planned on participating. In the interim, James and his family had attended a Church Conference in which an Area Authority spoke about the importance of fathering sons, of spending time with our young men. After the conference, the Young Men leaders of James’ ward announced a scouting event. The event fell on the same day as the critical meeting at the White House. He was torn. Recalling the sternness of the Chief of Staff and the nature of this meeting, he felt he could not be absent. Yet, his wife remarked, “James, you have a choice—it’s between your son’s life and your profession.” James tapped his own spiritual feelings. He felt prompted to try the Lord at His word—to follow His voice through His servants. A little tentative, he telephoned the Chief of Staff—and told him he would be unable to attend the meeting. Expecting a severe response, the Chief of Staff said: “Well, what if we schedule it for Monday?” James was stunned. According to James, this moment was a turning point in his personal and professional life. By following a prompting, he learned in a personal way, as he would over and over again, that he could trust God implicitly and that God loved him—a knowledge that might have been eclipsed had he walked in his own way. These small efforts will have grand impact on your life. “Out of small things great things come to pass” (Alma 37:6). Nature likewise bears this out. I call it the “spiritual butterfly effect.” The butterfly effect refers to the possibility that a butterfly flapping its wings in Hong Kong could affect tornado patterns in Texas. Freedom comes as we give our agency to God, not as we try to hold onto it, defending our own view of how things are going to be rather than what we sense might be His plan for our growth. Thy will be done are the most freeing words, the four un-scariest words in our language. Sometimes we think God will ask too much of us or it won’t be any fun. The adversary is clever, for never have had I had more joy or comfort than when I handed over my agency to Him and more misery when I have kept hold of it myself. I testify that when you give your life to God, you don’t give it away. You just get it back on a more beautiful platter.